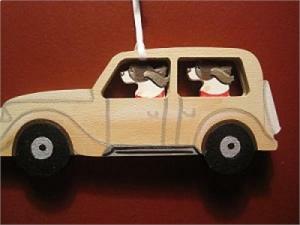 This cute & whimsical ornament was designed to replicate the car driven by Bonnie & Clyde a 1934 Ford Fordor Deluxe Sedan. These hand painted ornaments are all made in the USA. Collect them all. 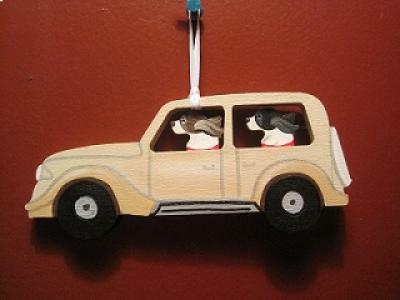 Choose which color dogs are in the car. Liver/Liver or Black/Black or Liver/Black.